" We focus on educational advancement with a concentration in the arts and music." ISTIEN Academy offers your child a quality Chinese language program and have an enrichment program that is geared towards helping your children expand their current knowledge and help them advance far into the next grade level. We have a newly renovated state of the art facility with top notch brand new equipment. Our facility has spacious classrooms and our faculty is highly trained, experienced and professional. Even though we are new to the community our company has more than 15 years of experience and we want toshare those experiences and knowledge within your community. ISTEIN after school program is a different kind of extended day afterschool program with unique featured music class, featured Chinese language class, featured music instruments daily basis practice help, multi-interest activities and funs plus free school pick-up. We accept the enrollment if your kid is in the age of Pre-K to 6th grade. ISTIEN after school program is designed to not only help your children with their homework but offer them the opportunity to expand their knowledge, create friendships and have fun. A daily snack is provided to all our students. Our staff is comprised of caring and professional teachers/assistants whose main goal is to make sure your child has a rewarding experience while in our program. After the completion of each student’s homework, our teachers/assistants will check to make sure your child's homework has been thoroughly completed with accuracy. They are then required to complete worksheets which are supplied by our teachers to help them expand their current knowledge. 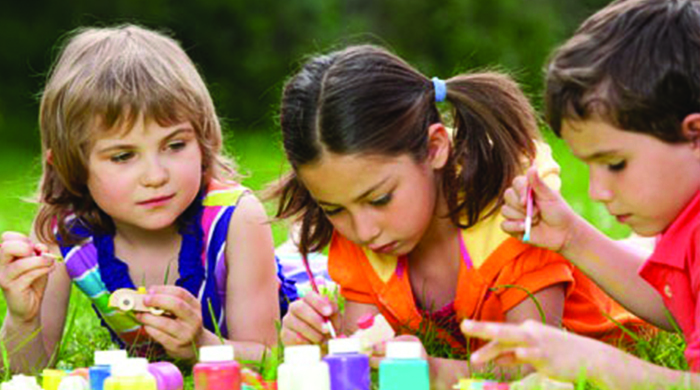 We also offer extracurricular activities such as arts and crafts, games, movies, computers and when the weather permitswe go on outings to the local park. We also offer a Mandarin Chinese class. Even if your child has neverlearned the language previously, by the time they leave our program they will have a true grasp of the language. ISTEIN summer school program offers academics, music/arts and Chinese in a creative methodolog Our program focuses on academics in the morning s and our students will receive instruction in reading, writing, mathematics, science and social studies. Our classes are taught by licensed and experienced New York State certified teachers so, you know they are learning from the most qualified of faculty. In the afternoons our students will have the opportunity to have lessons in arts/music and Chinese. They will also have fun while they play games, do arts and crafts, watch movies and go on field trips.